I’m Gonna Have a Great Day! A guest post from Marina. I am a firm believer that you control your happiness. You wake up every morning with a choice. If you looked back at everything that goes on during the day, you realize that it is your choice of how you can react. I choose to be happy. Whoa! Hold up buddy! The “worst day ever?” You can’t be serious? Indeed, by the look on his face, he was. I had to put it into perspective for him. Worst day ever goes along the lines of someone dying. Worst day is not stubbing your toe and losing electronics. Those are merely little tiny bumps in the road of life. 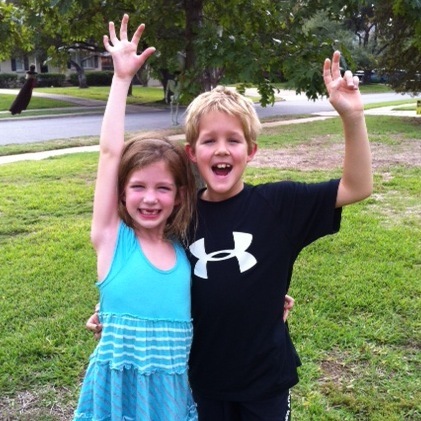 We had a long talk about how sometimes things happen that we don’t like or don’t expect. I explained that we can’t control everything that happens in life. Some days will be smooth sailing all the way and some won’t. We can’t control anyone but ourselves. Once I felt he understood that life can be tricky at times, I wanted to offer him something he could control. I said, Joe, I have some good news for you! There is one thing you can always control. What?!? He was eager to know this little nugget of information. Joe, you can control Joe. I was super excited at this revelation, however, Joe seemed less than thrilled. I don’t think he quite understood what that meant yet. So, I thought I would go a different way. I explained to him that our attitude is the basis for how we deal with things. We can choose to be positive and move forward or we can be angry and stand still. He seemed to get that. Then I came up with a mantra. A fabulous phrase to get us all started on the right foot every morning. So this is what I told my children. Every morning before we leave the house we are going to say in our happiest voices this phrase: I’m gonna have a great day! You have to say it and you have to say it with a smile. Some days I can tell they aren’t feeling it. So we say it over and over again – and we change our voice every time we say it. Sometimes we sing it, or we use a British accent or a frog voice or something else crazy. We say, “I’m gonna have a great day!”until we feel it. I truly feel that starting your day out with, “I’m gonna have a great day!” sets the tone for happiness. Now, of course they might not all be a great days, but at least they started out that way. We can end our less than great days — with, tomorrow is going to be a great day! 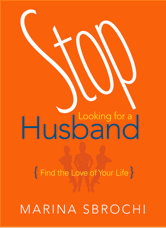 IPPY Award winning author of Stop Looking for a Husband: Find the Love of Your Life Marina Sbrochi is our Guest Blogger. While attending the university, she lived with 6 girls and it was there that she found her love for helping others to navigate the dating world! She and her husband were married for 6 years and have two beautiful children. They probably had the nicest divorce anyone could ever have. As she began to get back out into the dating world, she came at it with a new outlook. She was not looking for a husband. She was looking for the love of her life. Lucky for Marina, she was at a concert one night and with one lucky tap, she found the love of her life. The rest is history in the making. Currently, she is offering her help to others via a dating consulting service. She wants everyone to find the love of their life. Connect with Marina on Facebook and Twitter.